Are you still taking paper registration and cashing checks at the bank? Online registration saves time and effort – and money! 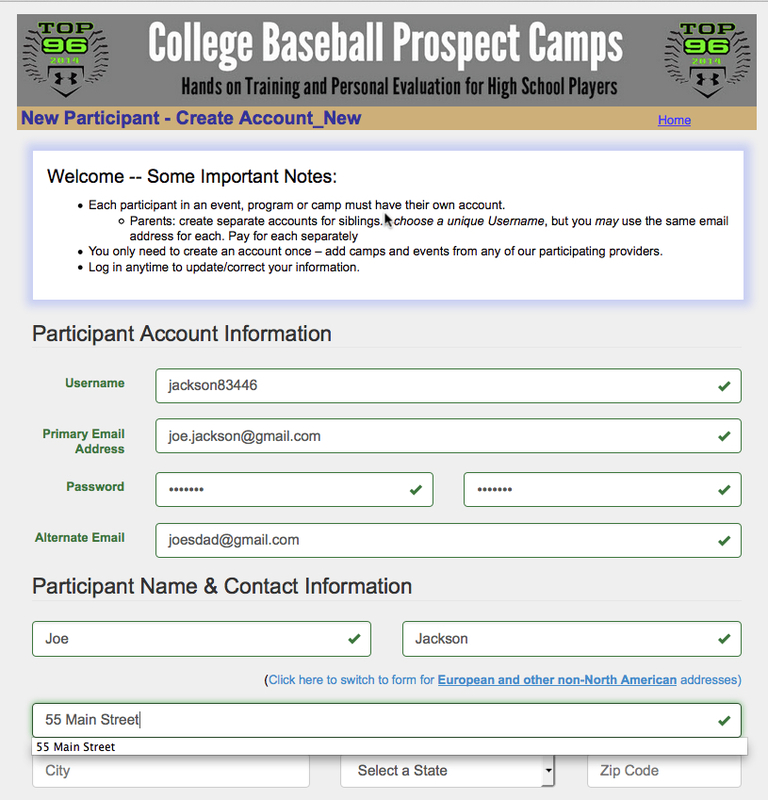 Register: Easily collect registration information and get players/ teams signed up for your events. No more paper forms and data entry. Our streamlined registration process makes it easy for you to quickly and effectively take registrations online. Collect exactly the information you need along with extras like roster uploads, insurance certificates and more! Payment Processing: Easily accept credit card payments as well as online check payments. No more collecting checks and tracking payments. Our online system does it all for you and is safe and secure! Waivers: Electronic waivers can be built into your registration form to be filled out and signed online by the parent/guardian. Completed waivers are emailed back to you so you know all forms have been returned prior to the event. Add On’s: Our unique Add On’s feature allows you to easily upsell items through the registration process. Want to sell t-shirts and hats, charge more for an evaluation, video, have an extra charge for room and board? We can do that! Discounts: Our system allows you to easily add any types of discounts you need for your events. These include early-bird, multi-event, sibling, employee, military and more! Confirmation: Immediately upon registering, participants are sent an email confirmation along with a receipt of purchase. There is no other company offering the range of services that Ready Set Register does! Schedule a Demo Today to find out more! We've thought of everything when it comes to camps, tournaments and events! Ready, Set, Register will save you hours of work and tons of headaches! Easily set up a number of discounts for your events. Upsell itmes during the registration process. Accept credit cards and check payments online. No merchant account needed. Collect all waiver and liability forms electronically. Our system has options for both automated and coded discounts. Automated discounts allow you to link events together and offering a discount for attending more than one event. Coded discounts allow you to set up specific codes that will give participants a discount when they enter the code in the discount box upon registration. Our registration system allows you to set up numerous items for additional payment during registration. Coaches use these add on’s in a variety of ways. A common use of the add on’s is to sell merchandise such as shirts and hats. They could also be used to charge for room and board at an overnight camps, a coaches evaluation, a video or anything else over and above the base event price. Use our merchant account to securely capture payments from Mastercard, Visa, Discover and AMEX – and get our low rates with no additional annual or monthly costs. We pay you every other week or as needed. You can see online your receipts and status regards payments. We even can transfer payment to you by wire so you are not waiting for a check in the mail. You also can opt to take checks online. Your customer inserts his checking account and routing numbers and the payment is processed online. Need to have your participants sign a liability waiver or other document prior to your event? Don't handle paper, use our electronic document waiver capability – at no extra charge. Just one more way we help you streamline your event registration and operation.